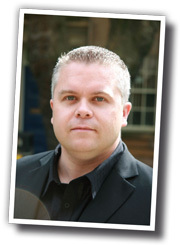 Simon is a specialist in marketing for UK Law Firms. His particular area of expertise is building websites which rank high in search engine's such as Google's results. He have focused on the legal sector for many years and has previously worked for law practices of all sizes. Having been employed by large Solicitors practices as a Marketing Manager, he cut his teeth using traditional marketing methods such as print and Yellow pages as well as building a number of websites which introduced new revenue streams to those firms. Simon moved into internet marketing as it became apparent how effective this method was and he saw how clients were migrating towards the internet from traditional channels. He now runs a business focusing solely on building and optimising website for law firms. If you or your firm needs help with an effective website please contact us.